Tickets are on sale here for; wild and creative workshops; performances; music; arts; crafts; recycling & upcycling workshops; stories; games; childrens activities; permaculture workshops & practical stuff; walks; campfire; theatre and relaxation sessions. 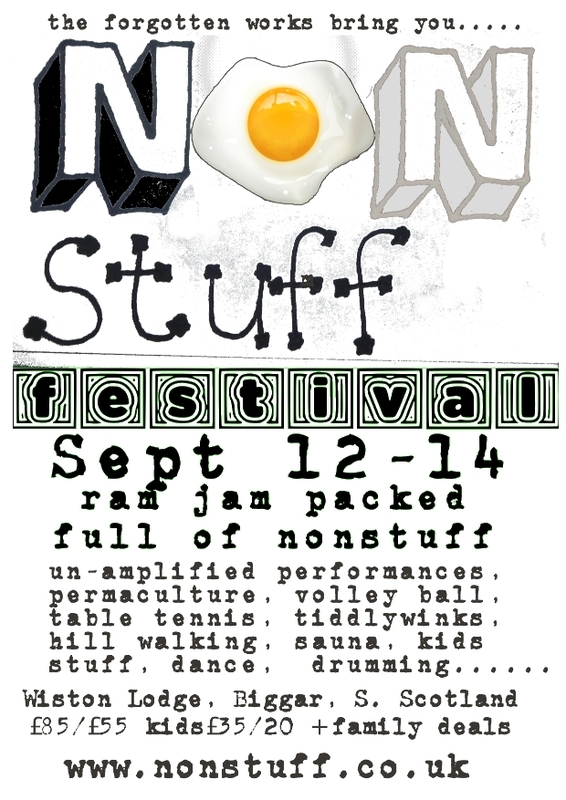 NonStuff festival tickets are now available. 12 September at 18:00 Wiston Lodge.